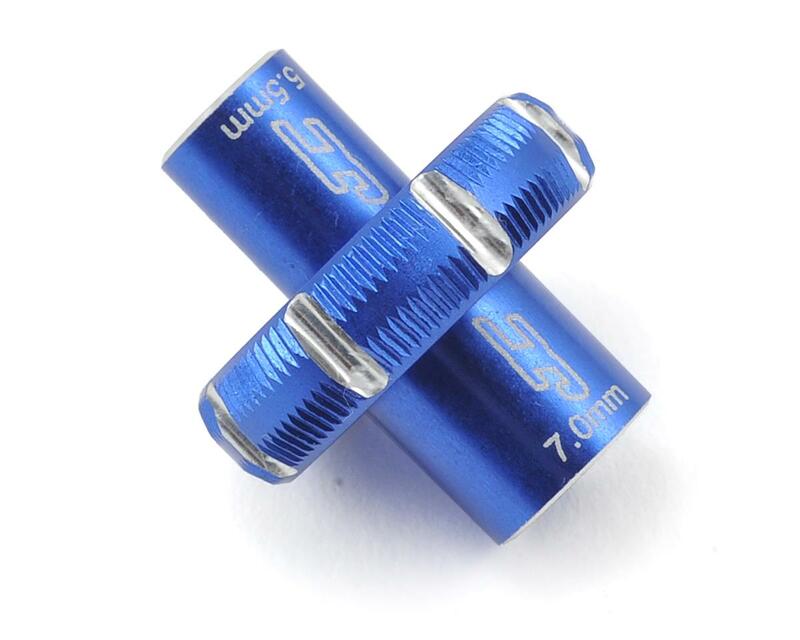 The JConcepts Combo Thumb Wrench combines the two most popular sizes for hex nuts in the RC industry. 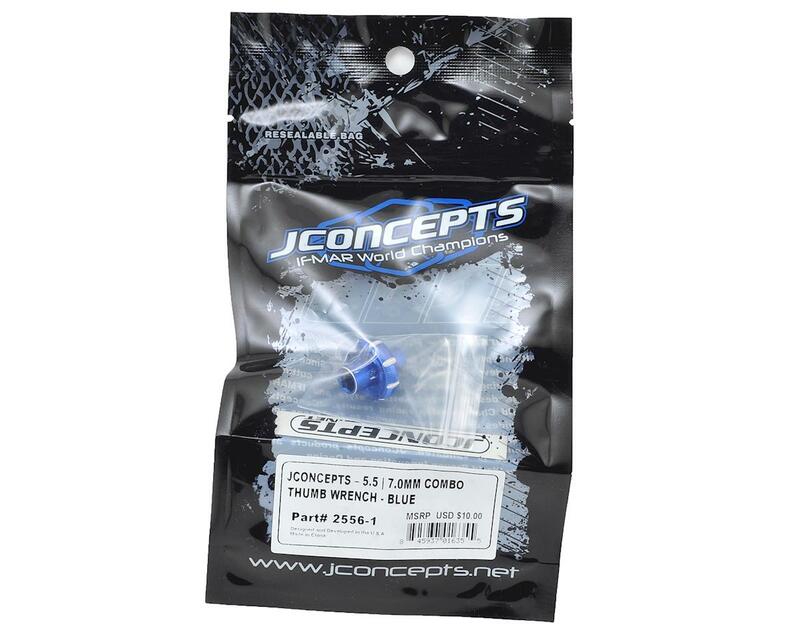 The JConcepts 5.5 | 7.0mm combo wrench has major flexibility packed into a compact one-piece design. The light-weight, machined aluminum wrench is available in blue and black anodized colors and features a dual-end concept. The main hub of the unit has been knurled for finger tip control and features several heavy cuts for increased grip for those, pesky, hard to turn lock-nuts. The sizing is indicated by laser etching on each end and is topped off with JC logo for authenticity. Great tool for anyone with a B6. I was looking at the associated short but drivers and ran across this one and I am glad I bought. Has both sizes that I needed. Everyone needs one of these in their tool box!